Most of us don’t have a major donor who funds everything we need. So there has to be another way. Successful fundraisers know that unless they have a mega donor at their disposal they may have issues in raising sustainable funds, there are normally three steps in raising sustainable funds. Welcome to the three-legged stool. 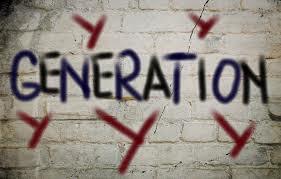 We’ve talked about Millennials and Generation Xers but what about those elusive Generation Yers? Born in the 1980s and 1990s, these well-educated and tech savvy consumers account for more than 20% of the consumer spending in the U.S. with the numbers only rising as they grow older with increasing amounts of disposable income. With all the hype about Millennials, Generation Xers are often overlooked by marketers regarding their consumer power. They are the third largest population in the U.S. with 60 million adults falling between the ages of 35 and 55. More importantly, they are the largest influencers with 47% of Gen Xers supporting an aging parent and a grown child. Let's begin creating your ultimate brand experience.